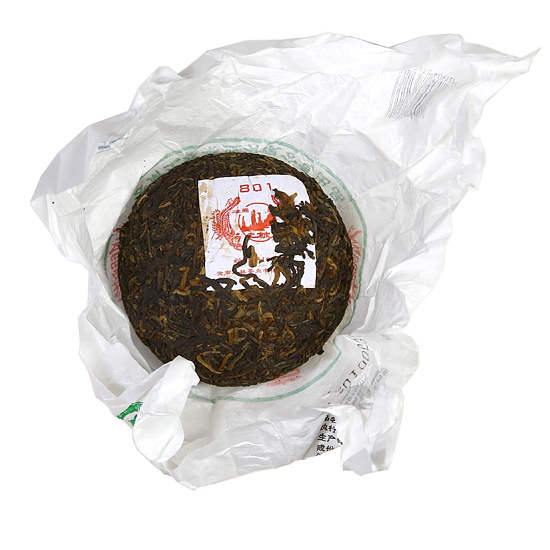 This Nan Jian Tulin Jin Hao 801 tuo cha is made with leaf materials gathered from tea harvesting areas on Wuliang Shan at approximately 6,500 feet in elevation. 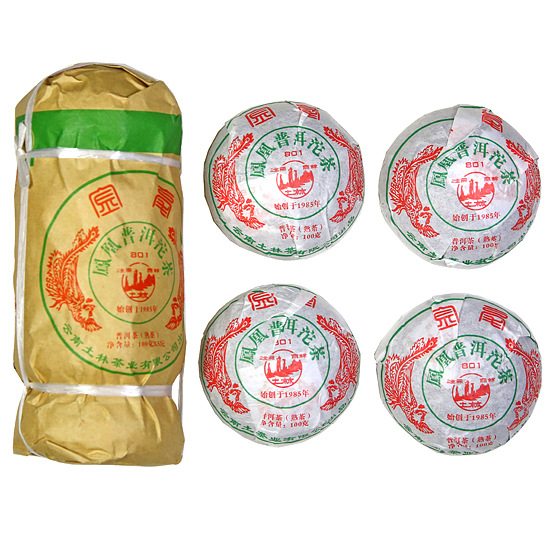 The Jin Hao line of tuo cha from Tulin is made from high grade leaf materials. The aroma of the dried tuo cha is fresh and woodsy and clean and appealing. The overall taste is sweet and smooth and light. 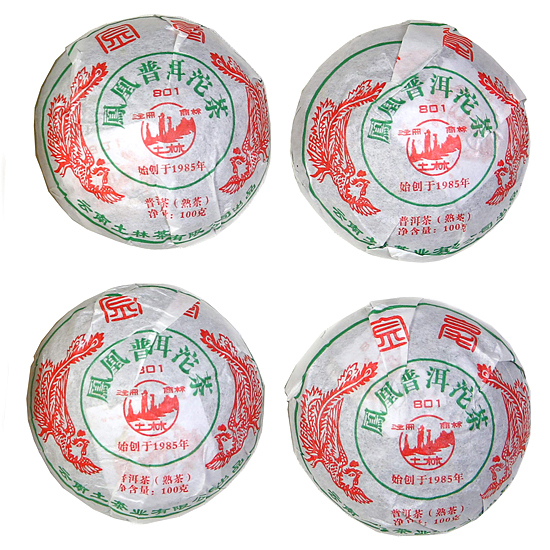 Suggestions of mushrooms, forest floor and dried fruits add to the appeal of this tasty tuo cha. Despite the fact that this is only a 6-year old cake, the high processing standards of the Tulin tea factory produces fine Pu-erh. Fans of Xiaguan Tea Factory Pu-erh may want to give this tea a try – Tulin’s teas are well-known for their balanced, complex flavor which id due to their selection of raw materials, and their blending and processing skills.